Fisk, Julie. Roehl, Kendra. Demery, Kristin. The One Year Daily Acts of Kindness Devotional: 365 Inspiring Ideas to Reveal, Give, and Find God’s Love. 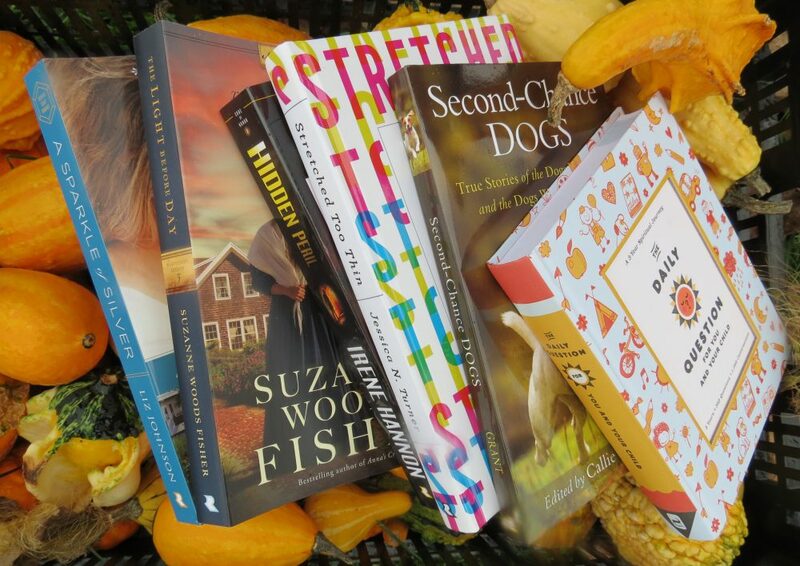 Carol Stream, IL: Tyndale Momentum/ Tyndale House Publishers. 2017. 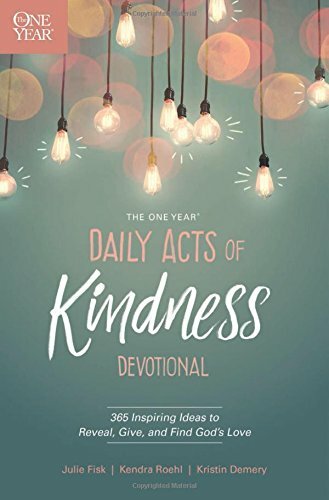 With a whole year of inspirational devotions to read, share and act upon, The One Year Daily Acts of Kindness Devotional is complete with a scripture verse, personal story, and an act of kindness to randomly perform for each day. Organized into days with a one-page devotion, the three authors take turns supplying the devotion with an associated idea for action. Easy and enjoyable to read but containing a possible huge impact, this one year devotional is do-able, relatable and personable. Already looking for my next devotional for the new year, The One Year Daily Acts of Kindness Devotional will fill that need. Simple to begin any day during the year, I appreciate the organization and honesty with which it was written. Realizing the effect daily acts of kindness could have on myself as well as others, this book would work well in a group setting or for individual use. Having several other devotionals already from The One Year series, I know the reliability and timeliness of the included devotions as well as the scriptural references. Well thought out and organized, my search for a 2018 devotional is now complete. This entry was posted in Christian Devotional and tagged Christian, Christian Authors, Christian Book Review, Christian Contemporary, Christian Non-fiction, Devotional, Devotions, Faith, Inspirational, Scripture Verses, The One Year Devotional Series by Savurbks. Bookmark the permalink. This looks interesting! I like the idea of having so many choices of kindness acts to do. I run out of my own ideas quickly. Definitely a book full of devotions surrounding kindness actions, there are both large and small ideas which are very do-able. If only everyone would take a moment and read it, right? Oh so much kindness could change the world!